Online sales, smart devices, and mobile payments are not only changing the way consumers find and pay for goods and services, they are also changing the way payment processors accept, secure, and facilitate payments. Because mobile payment technology is evolving so rapidly it can be difficult to keep up with the latest trends. Here, we’ll cover some of the innovations that are shaping the future of how consumers make payments and how mobile payment gateways enable those transactions. Mobile wallets are one of the fastest growing trends concerning the future of mobile payment technology. That’s because mobile wallets offer speed, convenience, and security for consumers. While mobile wallet payments only accounted for $75 billion in 2016 it is forecast to reach $500 billion by 2020. That represents an annual growth of around 80% over 5 years. In other words, mobile payments are growing rapidly and the growth looks poised to continue. Mobile wallets popular in part because they’re simple for consumers to use. They simply download a mobile wallet app for their phone or mobile device, add payment information, and use their mobile wallet as a payment method in person or online. This secure mobile payment technology includes user authentication and other security features like not having to enter credit card information on websites and not having to give your physical credit card to a cashier. Not all mobile wallets use the moniker mobile wallet. 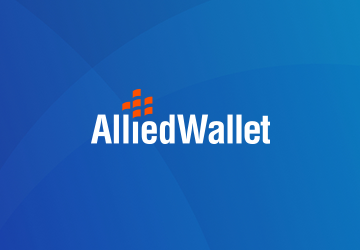 Among popular digital wallets are products from Samsung, Apple, and even our own eWallet solution. These consumer-friendly apps are changing the way consumers pay for products and services. Mobile wallets offer convenience for consumers, but convenience isn’t everything. It’s the security features that will cause consumers to continue to adopt mobile wallets in the future. Many mobile wallets offer or even require, dual authentication for use. For example, a pin may still be required to make online purchases using a mobile wallet. Many smartphones have biometric authentication to ensure that only authorized users of an app can make purchases from a phone or smart device. Part of the growth of mobile wallets naturally means a decline of physical payment cards. Credit and debit cards are still the dominant form of non-cash payment. Over 70% of Americans use at least one credit card. Slightly more than 15% of Americans have 5 or more credit cards. In other words, credit card use is fairly common. The ubiquity of payment cards isn’t going away. What is going away is the actual, physical card. Mobile payment apps and other forms of digital payment (bitcoin, peer to peer transactions) are minimizing the need for physical cards. Future mobile payment processors will be able to handle a variety of payment options-including cash, traditional cards, and mobile wallets. Near field communication (NFC) is changing the way consumers and merchants complete a transaction, reducing the need for physical forms of payment. Payment preference isn’t the only thing going mobile. Payment processing is having its mobile moment too. Mobile point of sale (mPOS) units are dedicated wireless devices that replicate traditional cash registers and sale terminals. mPOS units offer an easy, space saving, wire free way for merchants to accept payment. The flexibility of mPOS allows merchants to finalize transactions wherever customers are. There is no need for a centralized checkout location. Apple stores do a great job with mPOS. Customers don’t need to take their merchandise to a cashier, they can simply checkout with any employee. mPOS isn’t just a flash in the pan, it is truly the future of mobile payment technology. According to Business Insider, there will be 27.7 million mPOS devices in use by 2021, up from 3.2 million in 2014.
Business shouldn’t be limited to online or brick and mortar only. The flexibility of mobile payment and mPOS is creating a wireless economy. Let’s face it, people like to be on their phones. They like to scroll Instagram, Facebook, Snapchat, and many other social media sites. With so many eyeballs on social media, it’s only natural that businesses attempt to market to such a massive audience. When social users find a product or service they like on certain platforms, they no longer need to leave the app to find the business. They can simply click a shop now button and start buying—all without leaving the app. This streamlined social shopping experience requires a flexible, dynamic mobile payment processor that can integrate with mobile shopping cart and social media technology. This social shopping integration represents a necessary capability for the future of mobile payment gateways. The future of mobile payment technology is dominated by mobile wallets and mobile point of sale devices. We already see the trends starting—swipe readers on smartphones in farmer’s markets, people buying lattes with easy-to-use mobile payments, etc. However, the distant future of mobile payment includes automated payment capabilities. While there is still much development to be done, the direction is clear. Mobile capabilities represent the future of payment, payment processing, and payment gateways. Learn more about the future of mobile eCommerce and contact us today.